Fifteen years ago, Wellington was a sleepy little town just north of Fort Collins. Now to match the pace of its neighbors, the town is a fast-growing community. The Front Range is a popular place that families and investors are moving into, and Wellington is no exception. With the growth of the community comes more services. Stores and services continue to pop up across the landscape, adding new life to the area. New subdivisions and construction are constantly being planned in order to keep up with demand. Many different people come to live in Wellington. Part of the population is people who work in Fort Collins or Cheyenne, but want to experience a quieter home town. As part of the development and future prospects, Poudre School District of Northern Colorado has plans to build a new middle and high school for the town of Wellington. No longer will students have a lengthy commute to get to a Fort Collins school. The new school will host grades 6-12, and is estimated to open in August of 2022. Nearly 1200 students will be able to enroll. One of Fort Collins’ main attractions for families is the school system, and now Wellington will be able to fully enjoy the same. While Wellington is a young town, there are many changes in the works. New businesses and subdivisions are forming, and there is plenty of room for growth. Renovation and revitalization are something that Dumpster Rental can assist with. 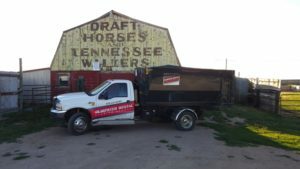 Dumpster Rental works in the Front Range area, based out of Fort Collins, and is eager to help you with your needs. Whether your house needs a facelift, your yard needs a makeover, or your new business is under construction, Dumpster Rental can provide their services. Various dumpster sizes are available based on your needs. If your project calls for more than you can handle, consider Dumpster Rental, your local, family-owned business. Out of sight and out of mind. When we think about our trash and its disposal, we know that at the end of the road there’s a landfill where thousands of tons of trash go. Usually these landfills are far away from their corresponding cities. So, with our waste far away, we can just forget about it. However, it may interest you to know about the largest dump on Earth. Can you imagine what that would be like? In fact, this dump is over twice the size of Texas. That is over 500,000 mi2. Thinking about a mass of trash that large causes more questions. Is it in the tundra of Canada or Russia? Or the flatlands of China? What about the empty barrenness of the Sahara? Each of these are wrong. In fact, the largest dumping ground of the world isn’t even on ground: it’s in the ocean. In the Pacific Ocean are two large masses of trash, the Western and Eastern Pacific Garbage Patches, collectively known as the Great Pacific Patch. Between California and Hawaii floats the Eastern, while between Hawaii and Japan is the Western. These patches fall along the Subtropical Convergence Zone, an area of ocean that is relatively dead. There is little movement in the wind or the currents, and the only life consists of mainly plankton. This combined with the nature of the garbage causes these massive islands to float for years. Most of the waste is made up of various plastics, which do not decompose quickly and usually give off chemicals. This prolongs the life of the islands even more. In recent years, there have been technological developments and projects focusing in on the Pacific Garbage Patch. There is an interest in clearing out the patch and cleaning up the ocean. Removing damaging material such as plastics will help the ocean’s environment. Many animals, particularly birds, have been found to consume various plastics found in the ocean, leading to numerous deaths. Chemicals dissolved from the debris sink into the depths of the ocean, effecting the natural systems of the life under the sea. Ocean clean up crews plan to reduce the size of the Pacific Garbage Patch over the foreseeable future. Cardboard is something that we all use on a regular basis, whether we are shipping or receiving orders, or creating a school project. Considering how much we use the material in our daily lives, we know surprisingly little about the material. Let’s investigate some of the ins and outs of the overlooked world of cardboard. It may come as a surprise, but cardboard is a very broad term. What we call cardboard includes anything from cereal boxes and card stock to paperboard and the fancy corrugated cardboard. It is the corrugated cardboard that most people imagine when we think of our Amazon orders and moving boxes. This would be the type with the wavy sheet (this is the corrugated part) sandwiched between flat sheets. As long as you are part of the general public and not in the shipping or packaging industry, this is all you need to really know. But there are multiple different styles and types of corrugated cardboard, all with different names, strengths, and purposes. Contrary to some views of sustainability and recycling, cardboard is a sustainable packaging material. The material as a packaging product really does make our lives easier, and it doesn’t have nearly as much harm on the environment as some options. It is much easier to produce into different sized boxes to accommodate all of your shipping and purchasing needs. Consider how in years past, our options for transporting products were generally limited mostly to crates. In our society, this doesn’t make sense. On the other side of the matter is recycling. 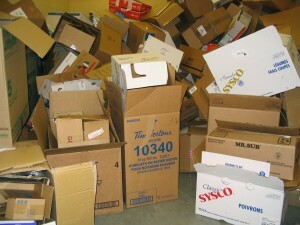 Cardboard breaks down very easily when compared to plastic and glass products. It goes through a natural decomposition, unlike its rivals. This gives the product a big advantage when we consider our consciousness of reusing and recycling. It is easiest to just through your box into the recycling bin and let the professionals take care of it. However, this isn’t the most helpful. Taking just five more minutes, you can make everyone’s job better. Start by removing any material, debris, or plastic lining from the cardboard, since this doesn’t recycle the same. Next, break down the box so that it becomes flat. Use scissors or a utility knife to cut through any tape keeping the sides together. Some boxes can be done at this point, if they are smaller than 2 ft by 2 ft when broken down, or they fit comfortably in your bin. Otherwise, take your utility knife to cut the flattened box into more manageable pieces that fit your recycling bin. This will make your recycling company’s job more efficient. Just south of the city of Fort Collins lies another city full of culture and growth. Being so close to such a popular and expanding city like Fort Collins may make you think that it is much of the same. However, there are many things that set Loveland apart from its neighbor. It is a place famous for its unique name, cultivation of sculpture and fine arts, and the close proximity to the Rocky Mountains. Here’s a closer look into Loveland’s specialties. When February 14th comes around, lovers across the nation find special ways to express their feelings to their significant other. There are chocolates, roses, and diamonds. However, some lovers receive a letter. However, this isn’t just any letter. Specially made through a contest held by the city, an ‘Official Chamber of Commerce Loveland Valentine’ is made each year. Lovers from across the country send in a letter to be hand stamped with the love note, and then sent off to the rightful owner. But Loveland’s celebration doesn’t end there. Throughout the streets and downtown, light poles are filled with sponsored personal messages of love. This is a city that strives to live up to its name. If you are driving though Loveland or wandering through a park, you may find a sculpture or two. In fact, scattered all around the city is art depicting humans, animals, and abstract expressions. The sculptures you see are true works of art meant to enhance the beauty of the city. Loveland has even been called “a sweetheart city which has a love affair with the arts”. This year marks the 35th Annual Sculpture in the Park show and sale. While is may be a bit of a drive, Loveland leads straight through the Big Thompson Canyon, up to Estes Park and the Rocky Mountain National Park. People all over the Front Range, from Fort Collins and Cheyenne to Denver use this area to gain access to the famous Park. 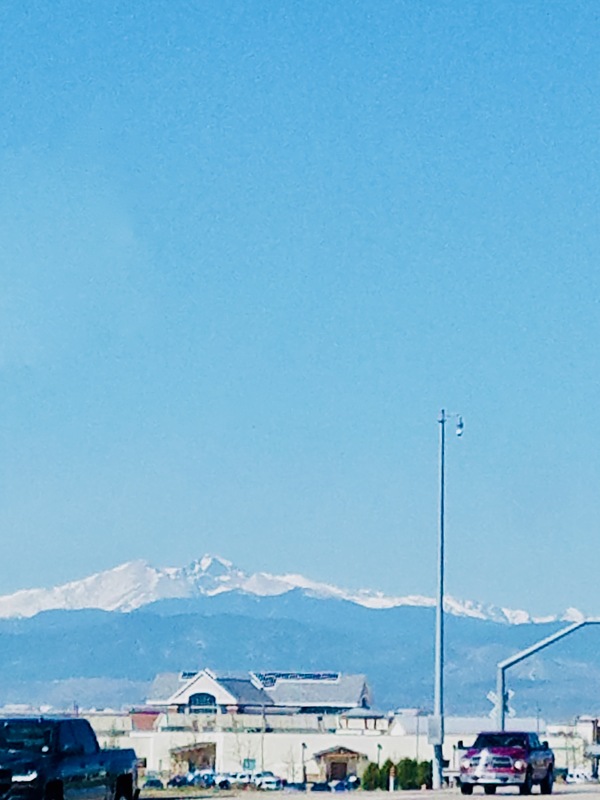 Colorado is often prized for the mountains, and a city with easy access to them is in the perfect spot. Loveland is not a young city, but much of it seeks revitalization and restoration. There are many projects in the Old Town area that strive to maintain the character of the old while making is safe and new. And with the burst of growth in surrounding areas, home renovations are also a popular choice. Dumpster Rental is happy to serve this city of Colorado as it continues to grow and expand. Dumpster Rental is a local company based in Fort Collins since 2012. The company has a long history of four generations under its belt, having originally worked in the Colorado Springs region. If you are restoring an old building, have a new construction project, or just want to make your home fresh, consider using the local service of Dumpster Rental to save your money and time. Whether we are enjoying window-shopping in downtown or playing with the kids in a park, we are constantly faced with litter. This can be anything from cigarette butts to the plastic wrapped used for your picnic. It is hard to ignore our waste when we have a big renovation project. However, when we are traveling the town, what we do with our trash slips to the back of the mind. So, what really is litter, and what are the consequences? Through the years, smoking has gone through waves of popularity and acceptance, and it is still something commonplace. 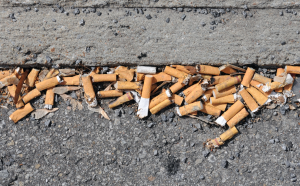 It also seems common for used cigarettes to be scattered in the grass or along the streets. The solution is to find an ashtray, which are usually spread around city in clear places. But here’s why it is so important: cigarette butts are not biodegradable. In past decades, cigarette filters were made using cotton, a natural material capable of decay through living organisms. Recently, we changed the filters to be made with plastic. Plastic doesn’t break down from living organisms, making it long lasting and potentially dangerous. Consider learning more about cigarettes and the environment here. It can be easy to lose a plastic bag to the wind. It’s easy to miss the trash can and leave your leftovers lying about. However, this doesn’t mean they easily go away. As mentioned, plastic isn’t biodegradable, so it won’t just disappear. There are times that animals find the left behind trash and try to eat it or collect it. Also, having our litter in public places makes them feel less inviting. Who really wants to walk through Old Town if there is a bunch of trash up against all of the buildings? Take care to keep an eye on your waste so it doesn’t blow away. The littering problem is about more than just the inner workings of a city. It travels up into the mountains, threatening the natural environment we wish to keep untainted. 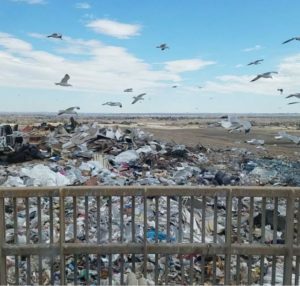 A recent Coloradoan article by Jacy Marmaduke talks about the littering of shooting and non-shooting areas. Not only are old shells and orange clay left behind, but far stranger things like a satellite dish or a can of WD-40. This is a far greater problem than cleaning up after yourself.